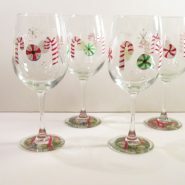 I received an order for Christmas wine glasses, four Christmas bulb ornaments and four Christmas Candy ornaments. 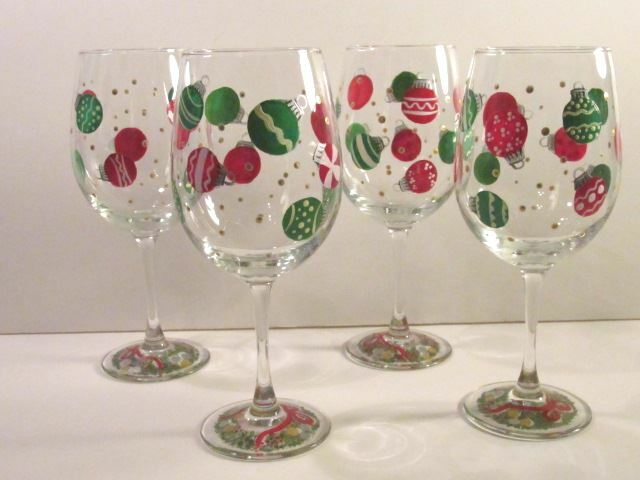 I switched gears, got into a glass painting groove and got them shipped them out to the customer. 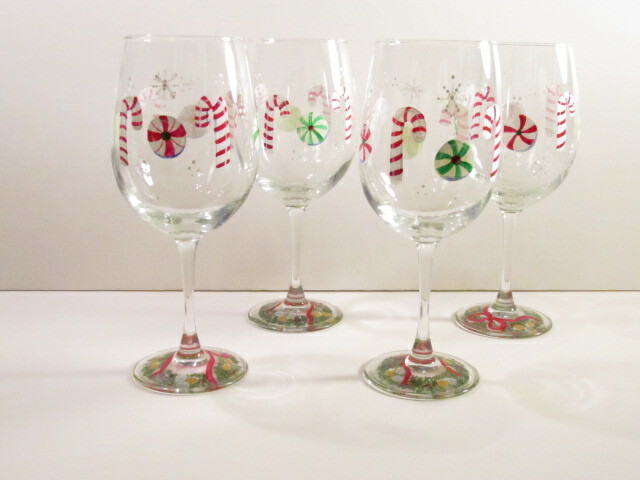 That was the scariest part, shipping wine glasses scares me! 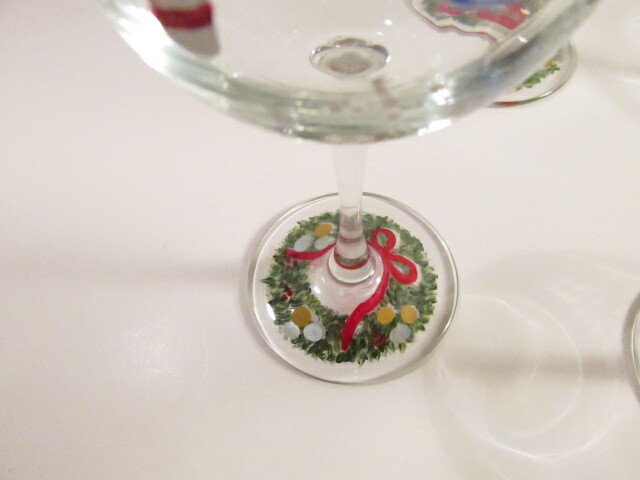 Here are a few pictures of the glasses completed.